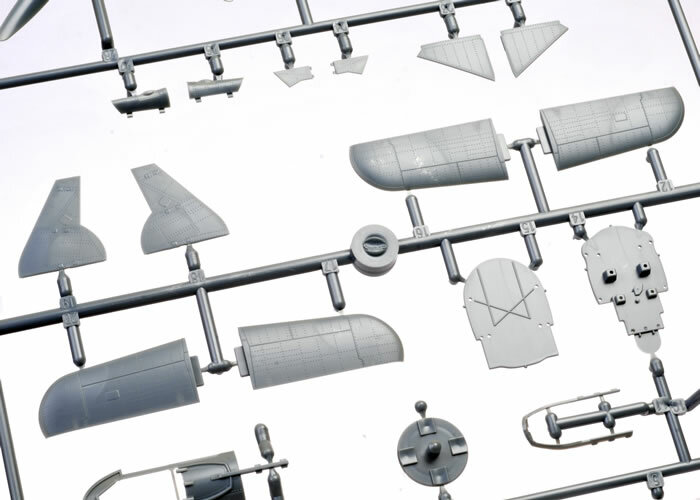 Contents and Media: 171 parts in grey coloured plastic (incl. 16 marked as parts not for use); 20 parts in clear; one colour photo-etched fret; self-adhesive masks; markings for six options. 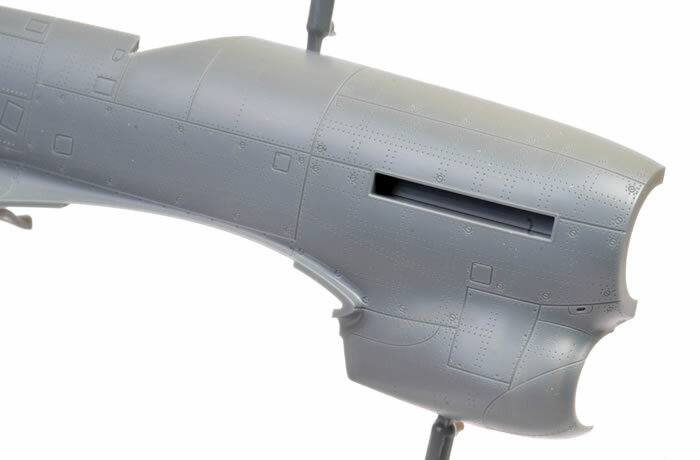 Advantages: Restrained surface featuring crisp panel lines and very fine rows of recessed rivets where appropriate; includes colour photo-etched parts for harness and instrument panel; masks supplied for wheels and canopy; very high quality plastic; narrow sprue attachments; excellent instructions and packaging. 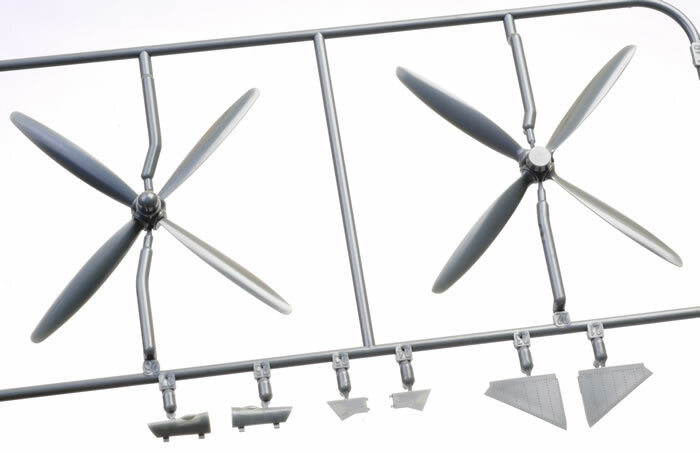 Recommendation: This is a very desirable model with fine crisp surface textures, a high level of detail, the option of even more detail with a pile of BRASSIN aftermarket options already available and, on the basis of having built one of each of their new-tool families, the prospect of good fit and a trouble-free build. The Hawker Tempest was a British fighter aircraft primarily used by the Royal Air Force (RAF) in the Second World War. The Tempest was an improved derivative of the Hawker Typhoon, the type originally being known as the Typhoon II, which was intended to address the Typhoon's unexpected fall-off of performance at high altitude by replacing its wing with a thinner laminar flow design. Having diverged considerably from the Typhoon, it was decided to rename the aircraft Tempest. 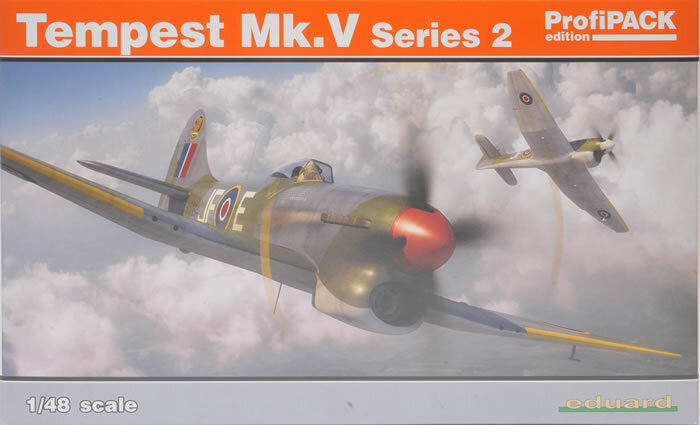 The Tempest emerged as one of the most powerful fighters of the World War II and was the fastest propeller-driven aircraft of the war at low altitude. 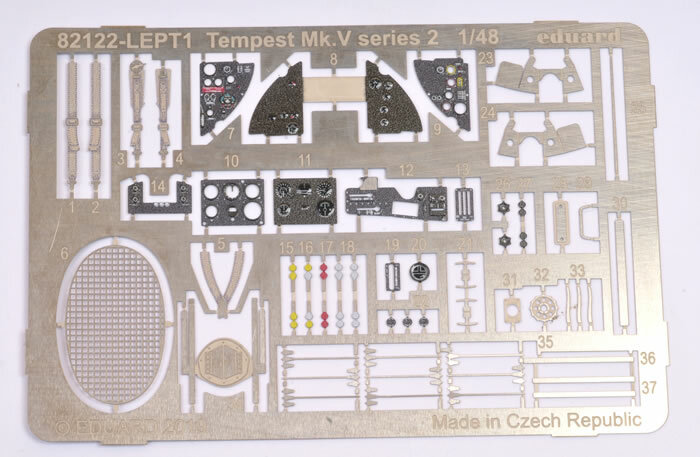 These new Eduard Tempest kits should not be confused with 1997 releases. The new kit reviewed here has nothing at all in common with their 20th Century Tempest. 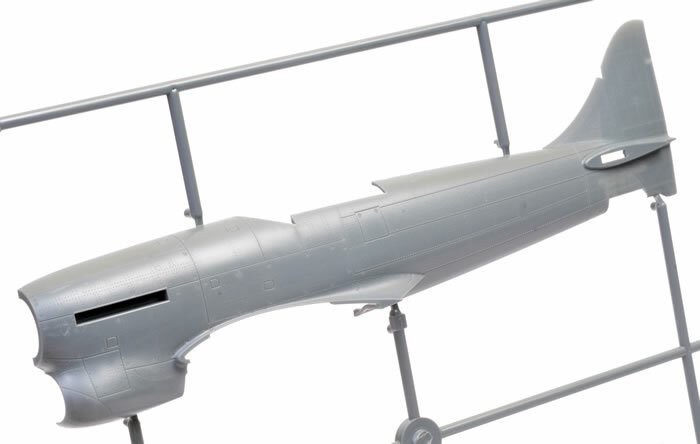 Eduard's new-tool 1:48 scale Tempest Mk.V Series 2 comprises 171 parts in medium grey coloured plastic, 20 parts in clear, self-adhesive die-cut canopy and wheel masks and markings for six aircraft. 16 of the grey parts are marked not for use. All the plastic parts required to build a Series 2 are on the sprues. These include the short barrel Hispano leading edge inserts and the later style large four spoke main wheel hubs. 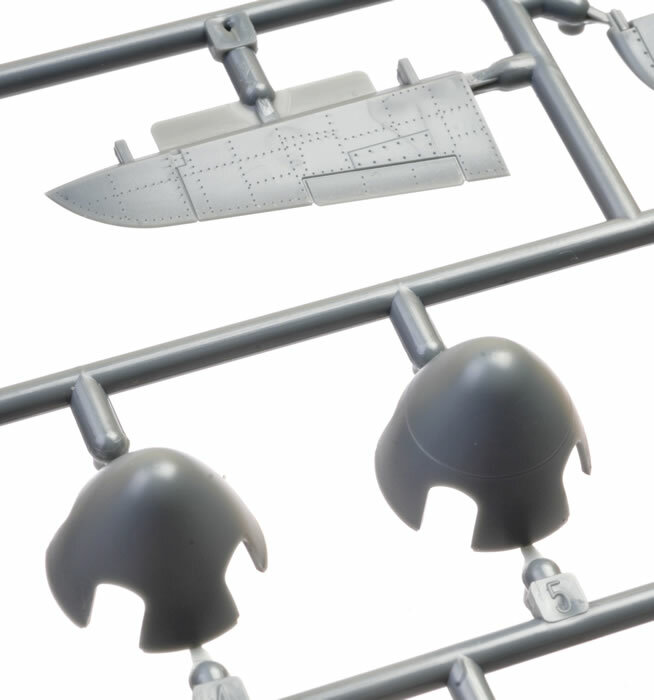 Two sets of rockets are also included, one of which is appropriate for a Series 2. I can't see any moulding imperfections on my kit. Surface texture is everything we have come to expect from Eduard - just gorgeous. 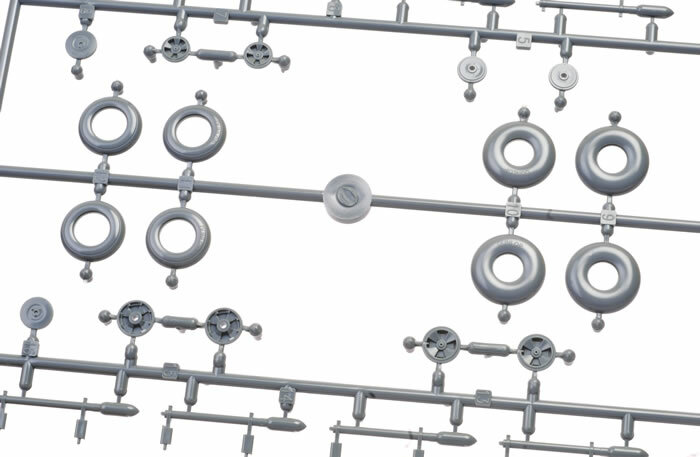 There are very fine and crisply recessed panel lines, rivets and fasteners. There are also rows of amazingly subtle raised rivets. These really add to the effect and the closer you look, the better it gets! Assembly starts in the cockpit. The seat is made up from three parts plus photo-etched harness straps. 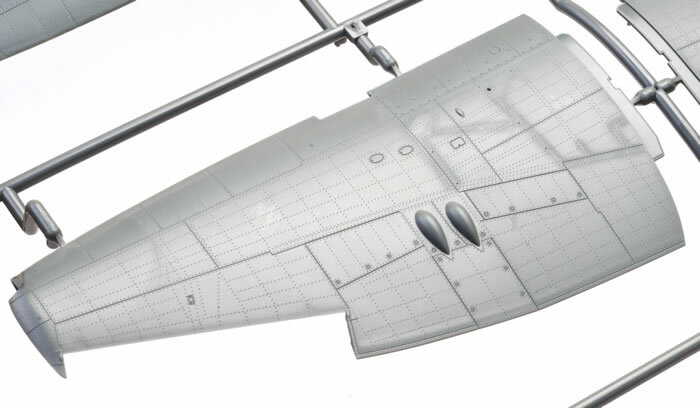 Separate cockpit side frames representing the tubular structure inside the fuselage are included. Side consoles, throttles, trim wheel and other details are attached to these. In the interests of simple assembly, the floor is semi-solid with a cut out in the middle rather than bottomless with just two suspended foot rails. You won't see much below the seat, but if you would prefer to go the bottomless path, Eduard does offer a replacement BRASSIN cockpit with this feature. Three instrument panel options are offered. One is made up from three plastic parts with raised bezels and switches; the second is three flat plastic panels with decal dials and the last is a colour photo-etched sandwich with four separate panels built around a single plastic part. 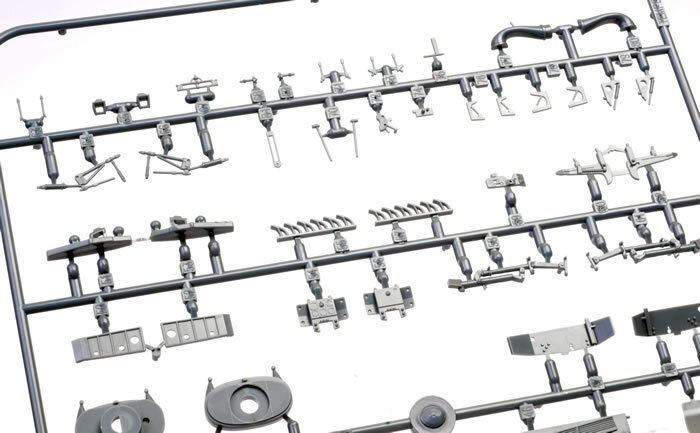 The large distinctive nose intake is made up from eight parts. 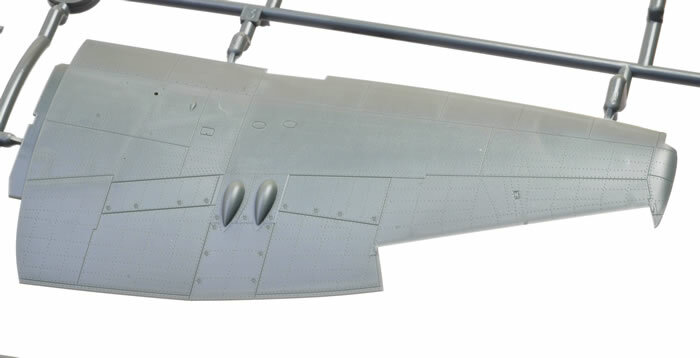 The wings are conventionally presented as a full-span lower section and separate upper halves. 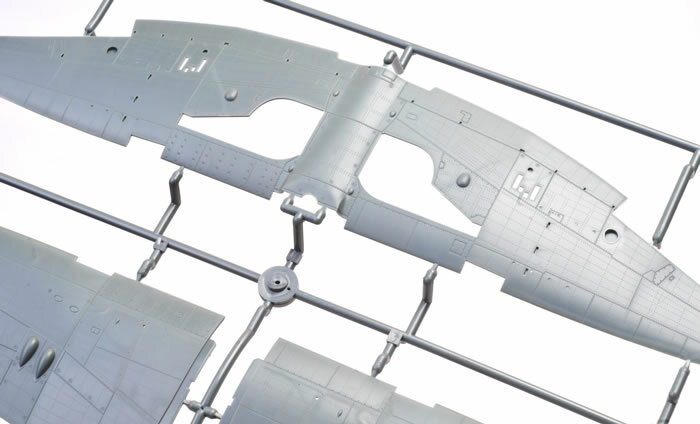 The wheel wells are built up from six separate side panels that are glued to the inside of the upper wing halves. 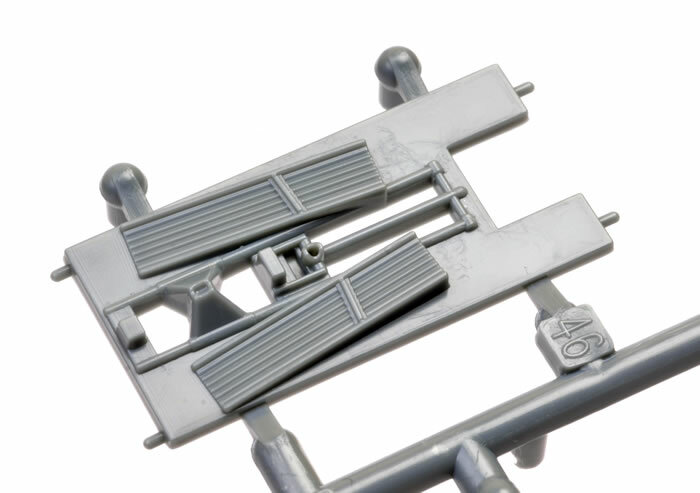 Additional detail parts are also included for the wheel wells. Ailerons, elevators and rudder are all separate parts. Flaps are moulded shut. 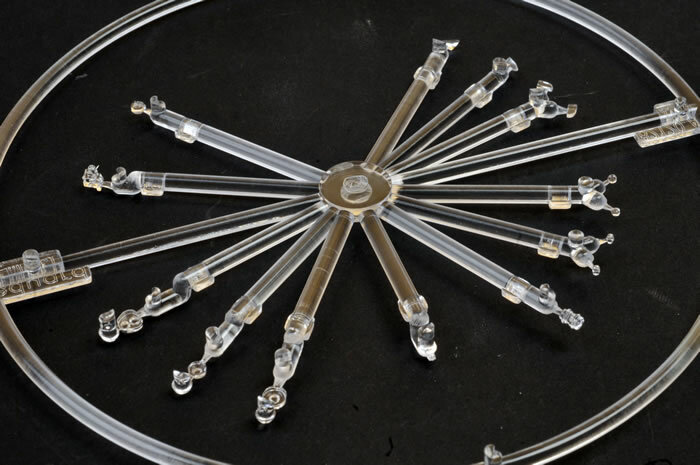 The tail wheel assembly has a separate leg and mount with a solid anti-shimmy tyre represented. An optional pilot's step is provided. 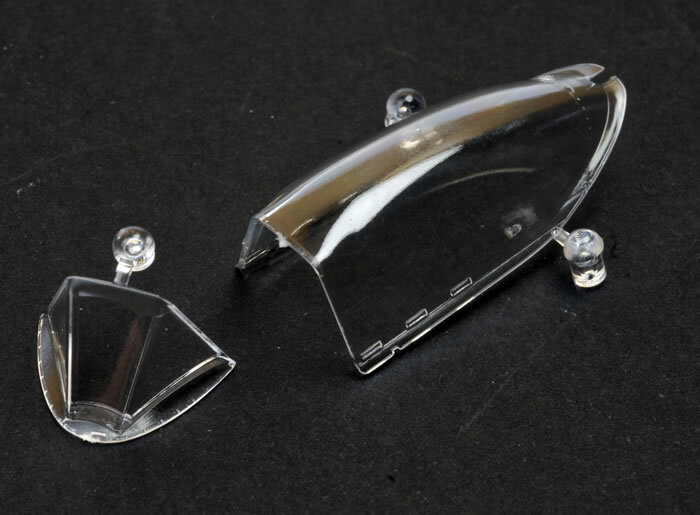 The clear parts are thin and free from distortion. 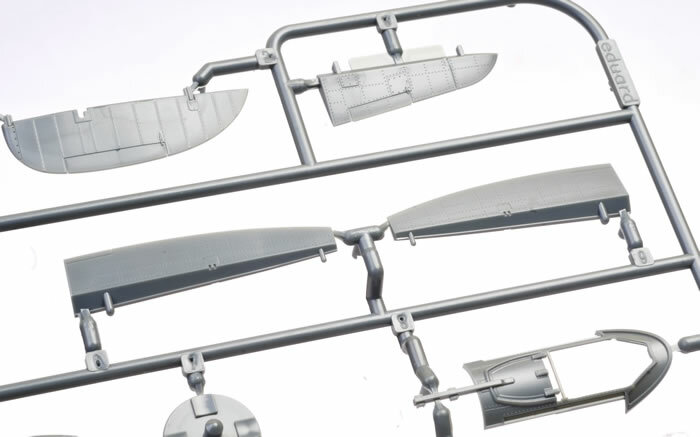 a grey plastic lower frame is glued to the sliding section of the canopy, which may be posed open or closed. 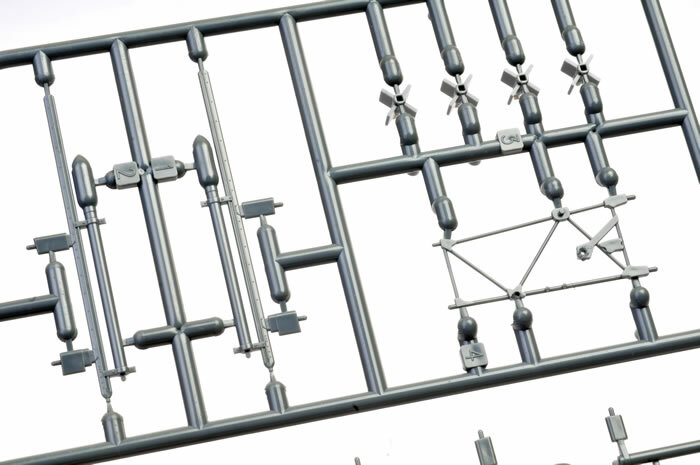 An additional new clear sprue is supplied in this kit. 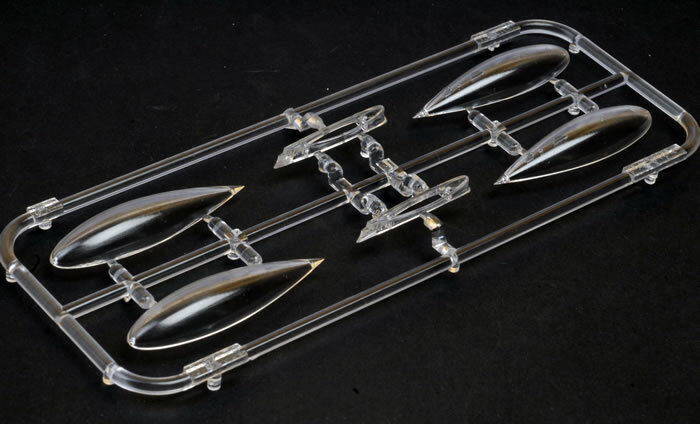 This offers the characteristic clear drop tank mounts. 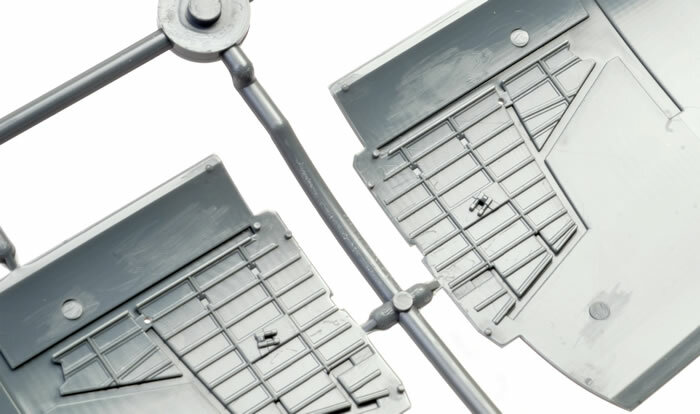 The drop tanks themsleves are also supplied in clear plastic, but you will be painting these! 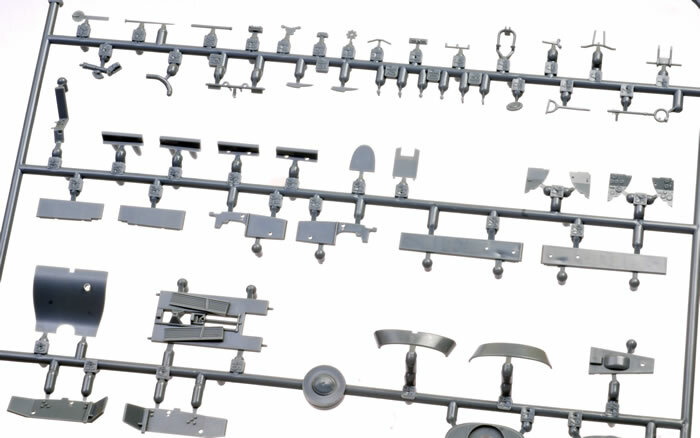 Self-adhesive die-cut masks are provided for the canopy and the main wheel hubs. NV708, flown by W/Cdr. John Chester Button DSO, DFC, CO of No. 123 Wing, RAF Station Wunstorf, finished in overall silver paint. EJ865, No. 80 Squadron, No. 123 Wing, RAF Station Wunstorf, Germany, October 1947. This has a red and yellow lightning bolt and question mark on either side of the fuselage, tail art, plus Roundel Blue spinner and drop tanks. The serial number is painted below each wing too. Quite a striking example! The large decal sheet is glossy and printed by Cartograf. 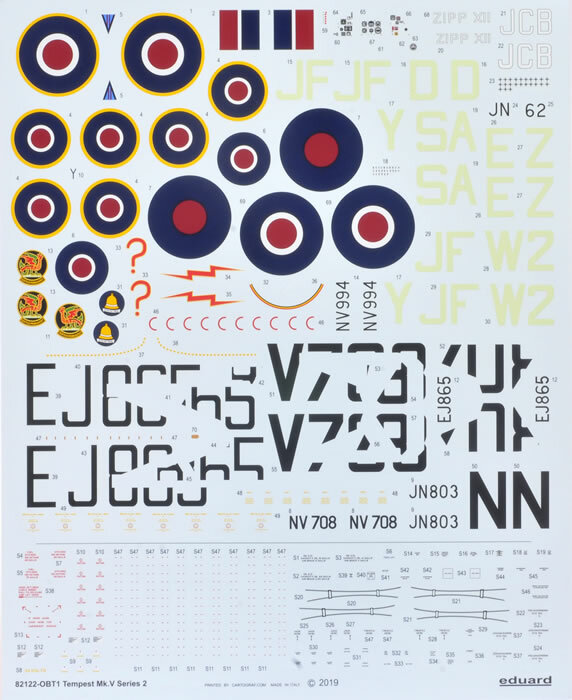 Stencils are included on the same sheet. 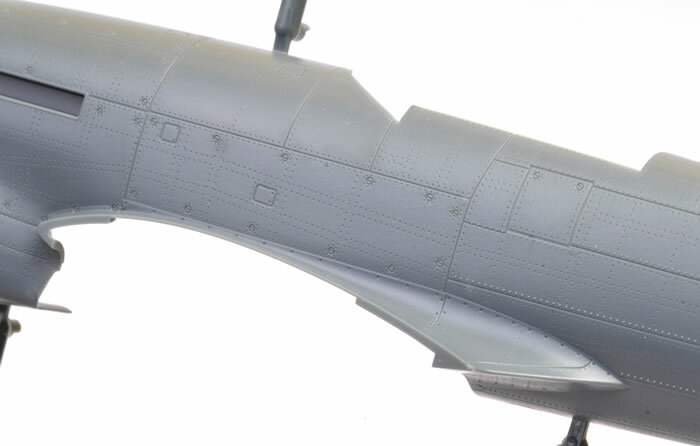 Eduard builds on its remarkable track record with this 1/48 scale Hawker Tempest Mk.V Series 2 joining their state-of-the-art Spitfires, Bf 109s and Focke-Wulf 190s. 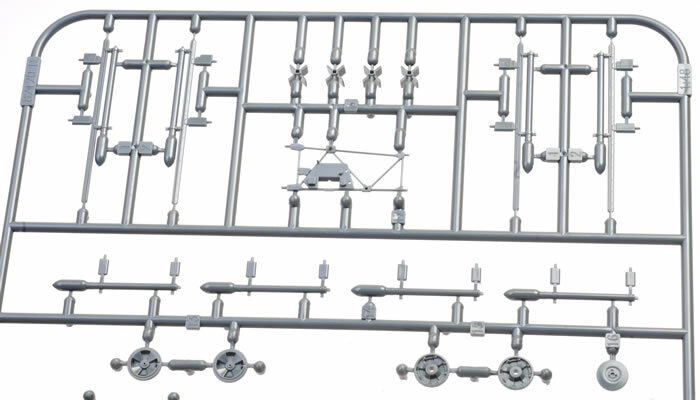 This is a very desirable model with fine crisp surface textures, a high level of detail, the option of even more detail with a pile of BRASSIN aftermarket options already available and, on the basis of having built one of each of their new-tool families, the promise of good fit and a trouble-free build. Keep on keeping on Eduard!